Your child will enjoy adding color to President Obama's picture, while learning that he is our country's forty-fourth president. A coloring sheet for 1st graders about different people from around the world. This one is of an Inuit boy in traditional clothing. 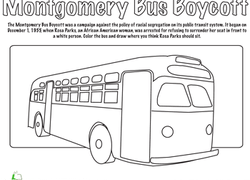 A coloring sheet for 1st graders about people from around the world. This is a picture of a German boy in traditional clothing. Did you know many of the largest volcanoes in the world are located in Hawaii? 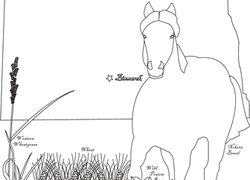 Introduce your child to the Hawaii Volcanoes with this fun coloring sheet. 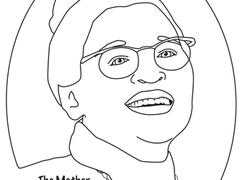 A coloring page for 1st graders about people from around the world. This one is a picture of a Mexican boy wearing traditional clothing. A coloring sheet for 1st graders about clothing from around the world. This one is of a girl from Thailand in traditional clothes.